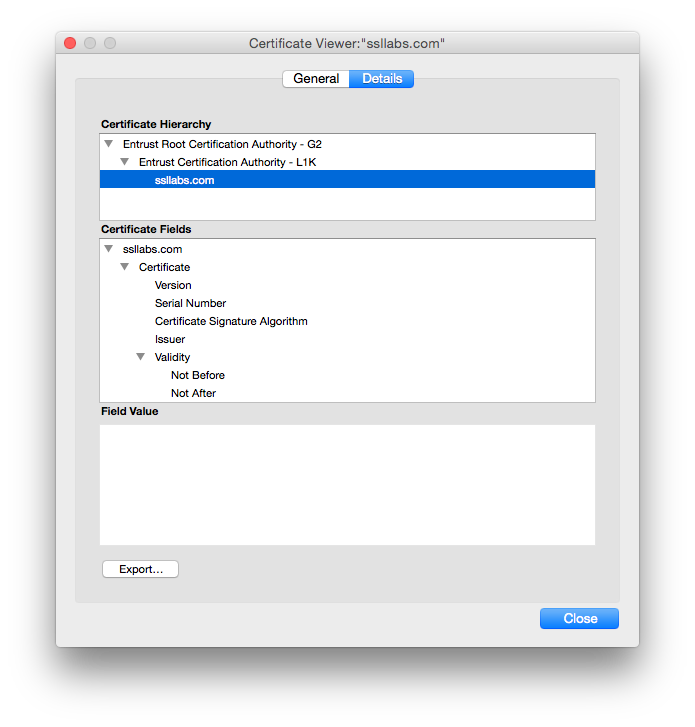 App bundles the known server certificates with it. When app tries to make a secure connection with the server, it validates the certificate received by the server with the ones it has bundled with. 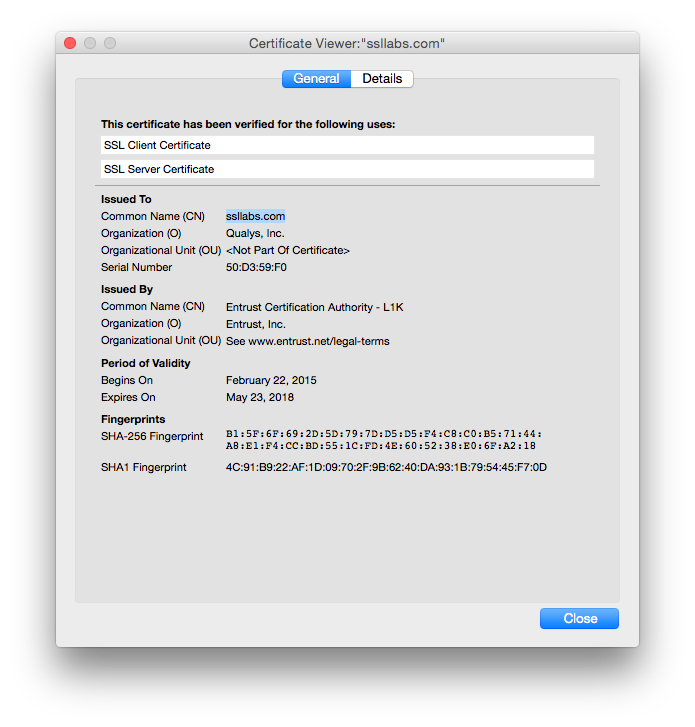 So even if OS validates the received certificate chain against a (potentially rogue) root CA, the app will reject the connection displaying network error. PKCS7 An open standard used by Java and supported by Windows. Does not contain private key material. PKCS12 A private standard that provides enhanced security versus the plain-text PEM format. This can contain private key material. 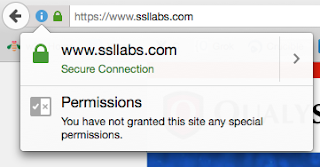 It's used preferentially by Windows systems, and can be freely converted to PEM format through use of openssl. DER The parent format of PEM. It's useful to think of it as a binary version of the base64-encoded PEM file. Not routinely used by much outside of Windows. 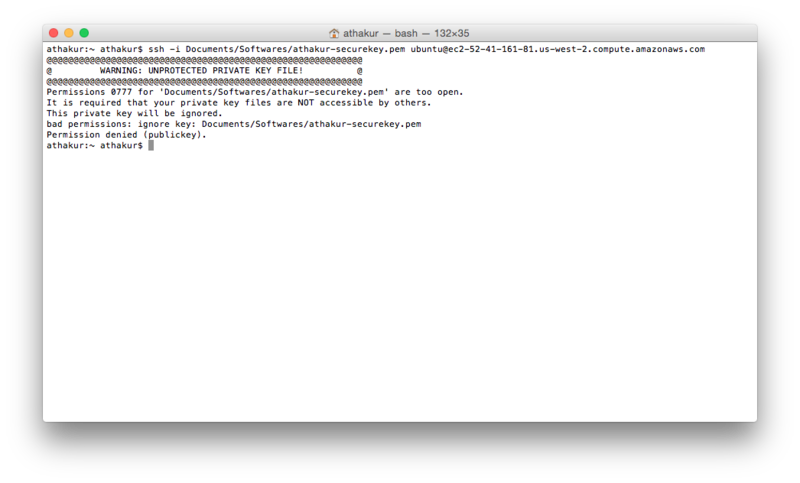 PEM on it's own isn't a certificate, it's just a way of encoding data. 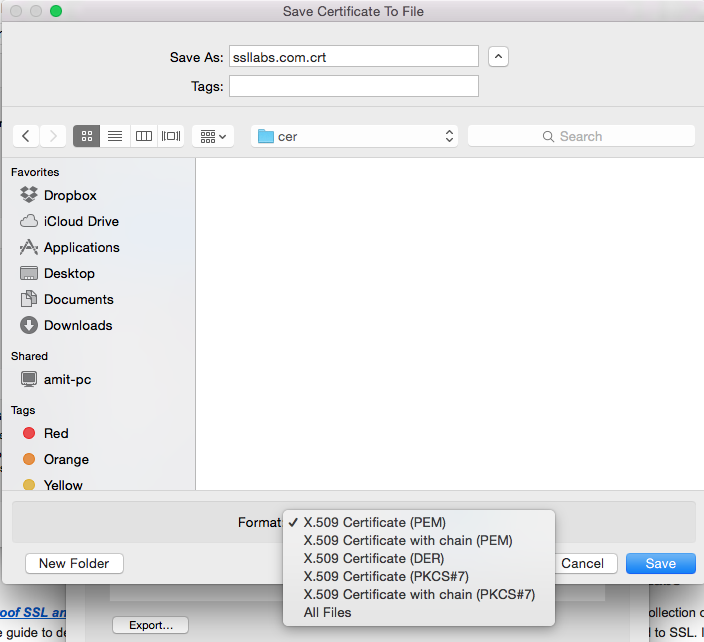 X.509 certificates are one type of data that is commonly encoded using PEM. PEM is a X.509 certificate (whose structure is defined using ASN.1), encoded using the ASN.1 DER (distinguished encoding rules), then run through Base64 encoding and stuck between plain-text anchor lines (BEGIN CERTIFICATE and END CERTIFICATE). You can represent the same data using the PKCS#7 or PKCS#12 representations, and the openssl command line utility can be used to do this. We know why we declare a instance variable or class or a method as final. So that it cannot be extended or modified or overridden. But there are instances when we declare final local variables i.e declare variables inside method as final. Why would we do that? Let's see that. 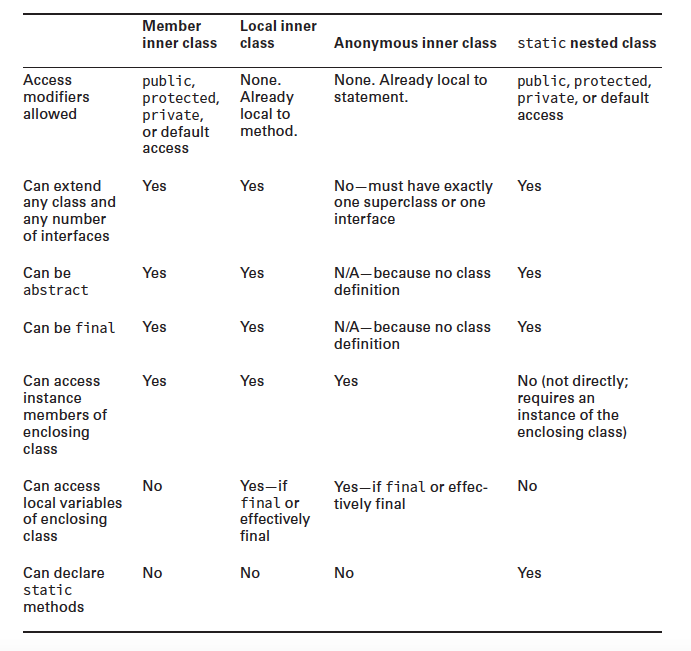 There's one important "feature" of final local variables: they can be used in local (typically anonymous) inner classes. Non-final local variables can't be. That's the primary use of final for local variables, in my experience. Note that as a matter of style, some people like to use final even when they're not capturing the variable in a local inner class. I'd certainly be comfortable with final being the default, but a different modifier for "non-final", but I find that adding the modifier explicitly everywhere is too distracting. NOTE : Well behind the scenes, the compiler generates an instance variable in the anonymous inner class and copies the value of the original variable when the instance is created. The compiler is generating a class file from your inner class. A separate class has no way to refer to local variables. If the local variable is final ,Java can handle it by passing it to the constructor of the inner class or by storing it in the class file. If it weren’t effectively final, these tricks wouldn’t work because the value could change after the copy was made. Up until Java 7, the programmer actually had to type the final keyword. In Java 8, the “effectively final” concept was introduced. If the code could still compile with the keyword final inserted before the local variable, the variable is effectively final. Note same applies for Lambda expressions. To use a local variable in a lambda expression it needed to be final or effectively final. As far as performance is considered there should not be much difference as JVM does it's own optimizations depending on the usage in code. Life was all good when they were working independently. Company A was small and sufficient with less than 10 employees where as Company B did not really care how many employees joined. But then one day they decided to merge and expand their business. Employees of both the companies will now be under one entity and the task to create code that lists down both company's employees now rests on you. You know both Employee record implementation of companies. So you start writing code using it. Well that serves the purpose. We are printing employees in both companies using their records. But is it a good design. Two loops for two different types of data structures. What if Company C is merged with this later. Add a new loop to handle it? Naah. Something does not feel right. 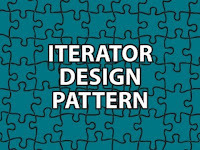 This is where iterator pattern comes into picture. 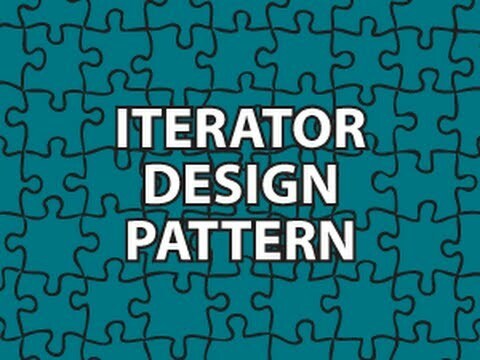 The Iterator pattern provides a way to access the elements of an aggregate object sequentially without exposing it's underlying representation. Then you can have a common method that take an Object of type Iterator and iterate over it using hasNext() method and get the actual data using next() method. NOTE : Instead of defining your own iterator interface you can use java.util.Iterator interface instead. NOTE : we have not added remove() method in the Iterator interface. Neither are we handling multi threading scenarios like what happens when the collection gets modified when you are iterating using that iterator. The way this is handled is that when iterator is created we copy the modcount (modification count) and at any point during the iteration this is different than the original count we throw java.util.ConcurrentModificationException. So if modCount of the collection is not same as what was copied over to it's iterator during it's creation (stored as expectedModCount) then it throws ConcurrentModificationException. Exception for this is when you use iterators remove method in which case iterator updates it's expectedModCount accordingly. 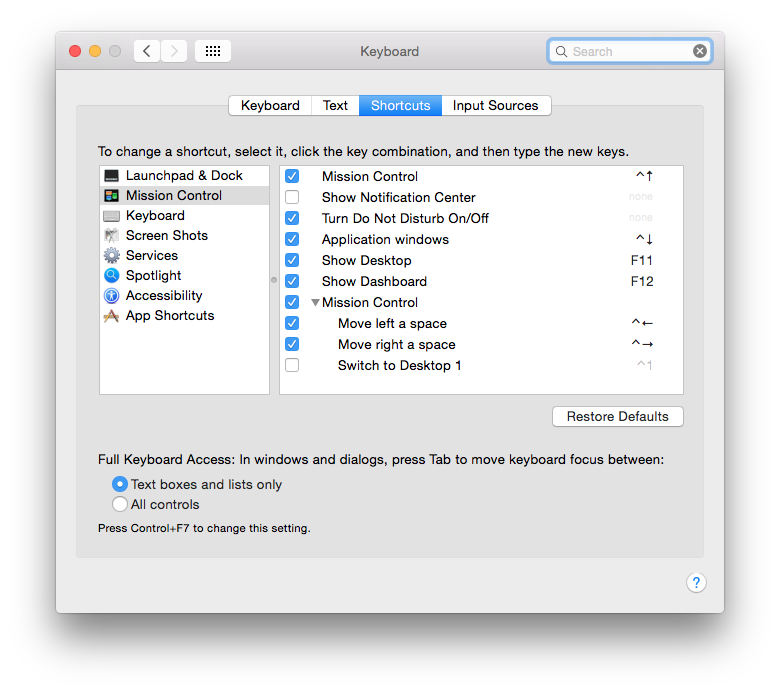 Control+Shift+Eject is the keystroke for Macs with an Eject key, and for external keyboards.Control+Shift+Eject is the keystroke for Macs with an Eject key, and for external keyboards. 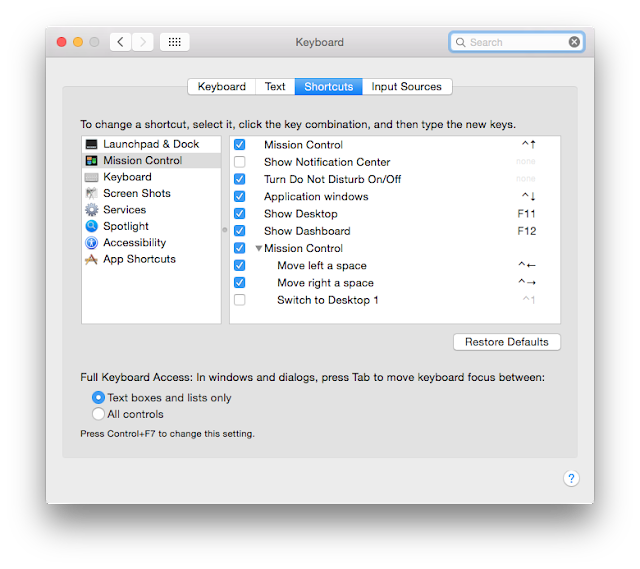 Control+Shift+Power is the keystroke for Macs without the eject key, like the MacBook Air and MacBook Pro Retina. 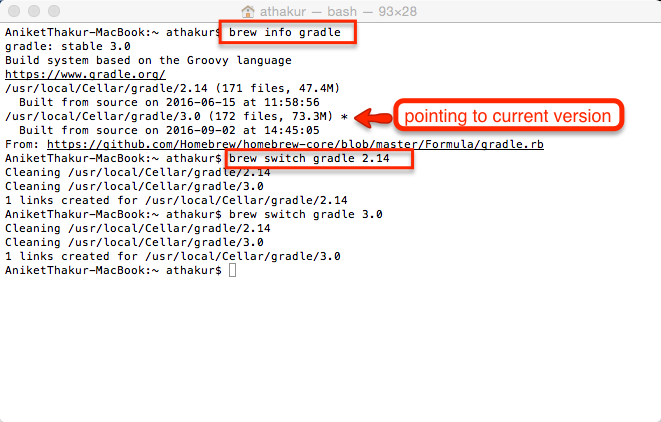 Install Homebrew - Package manager for OS X.Homebrew installs the stuff you need that Apple didn’t. 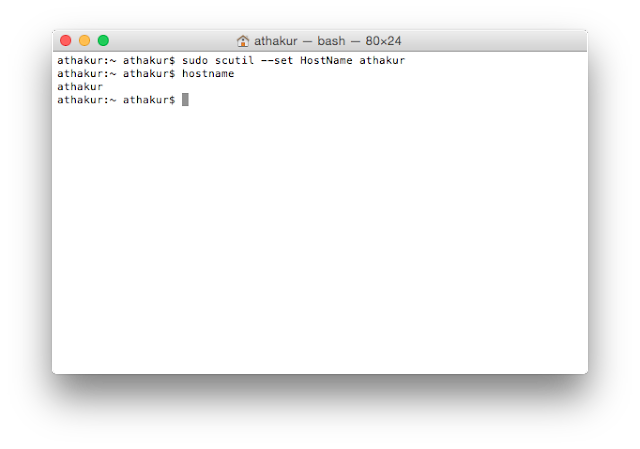 Lastly don't forget source ~/.bash_profile to reload profile. 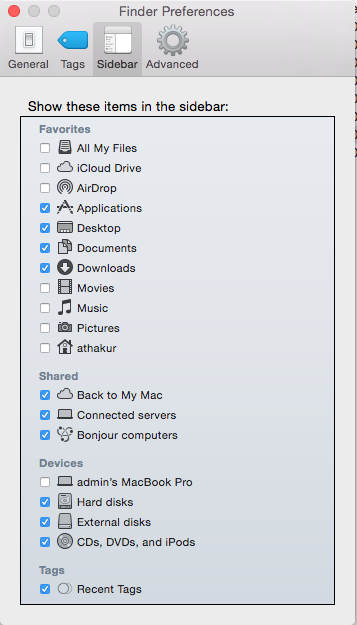 If you are not able to see external drives in your Finder go to Finder -> Preferences -> Sidebar and make sure External Disks are ticked under Devices section. 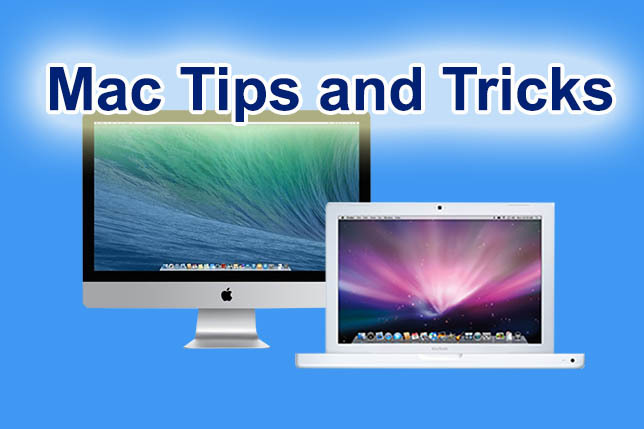 Unlike the ZIP files, Apple’s MAC OS X does NOT include a built-in archive utility tool that you can easily use to open RAR files. 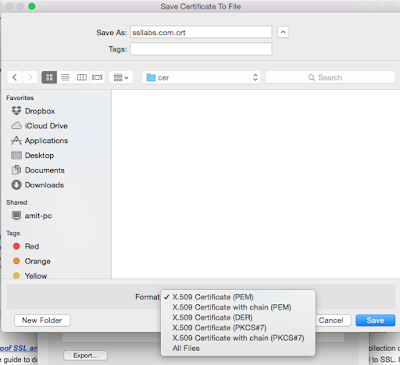 Apple’s archive utility upports a number of file formats like ZIP, TAR and GZIP. 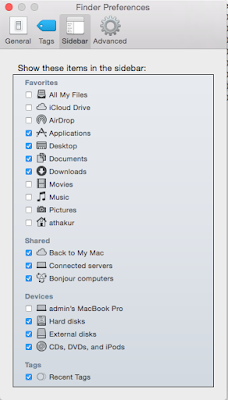 It does not support RAR files. 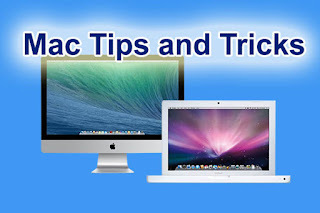 Cider : TransGaming Technologies has developed a product called Cider which is a popular method among publishers to port games to Mac. 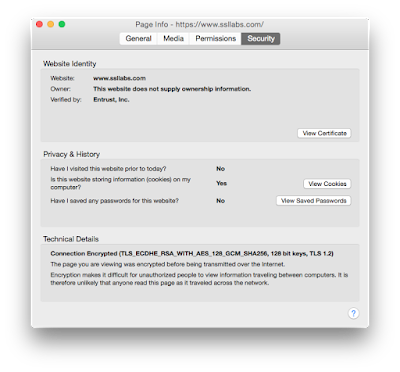 Cider's engine enables publishers and developers to target Mac OS X. It shares much of the same core technology as TransGaming's Linux Portability Engine, Cedega. Public reception of games ported with Cider is mixed, due to inconsistency of performance between titles; because of this, “Ciderized” games are neither seen as the work of cross-platform development, nor as native, optimized ports. Both Cider and Cedega are based on Wine. Electronic Arts announced their return to the Mac, publishing various titles simultaneously on both Windows and Mac, using Cider. to send and receive audio to and from any other application. Running with very low latency and cpu usage, Soundflower allows each client application to use its usual buffer size. In one of the previous post we saw a Greasemonkey script to block Game of thrones spoiler on facebook. 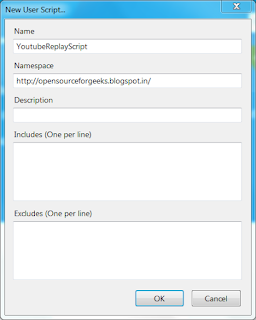 In this post we will see Greasemonkey script to replay Youtube videos once they finish. And we will see how to do this from very beginning including installing the plugin. 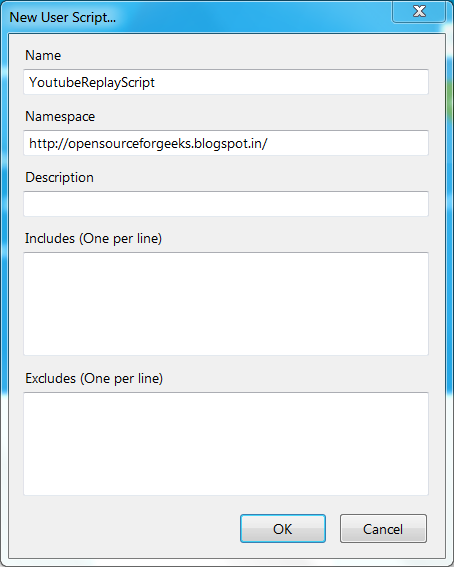 Then you should see a window where you can create your script. 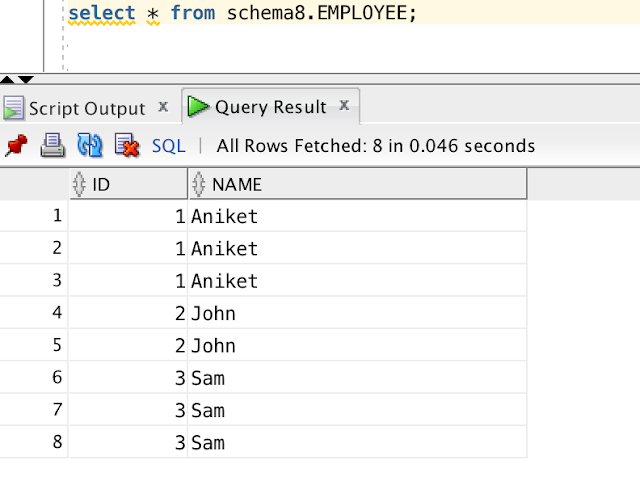 This is classic database question to check candidates knowledge about SQL queries. You have a table where lets say you have duplicate entries (lets also say column1 and column2 can form a candidate key). Now you need to remove duplicates from then table. That is all rows in the table should be distinct. How would you do this? column 1 and column2 as I mentioned for candidate keys. You can very well add all columns in it. For each row in the database, the ROWID pseudocolumn returns the address of the row. 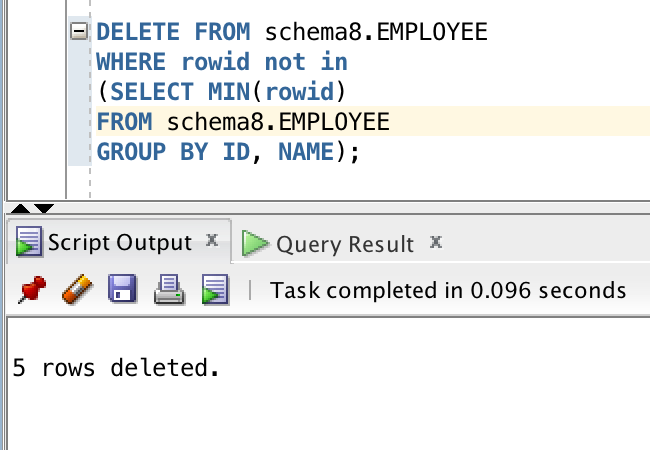 Oracle Database rowid values contain information necessary to locate a row. They are the fastest way to access a single row. They can show you how the rows in a table are stored. 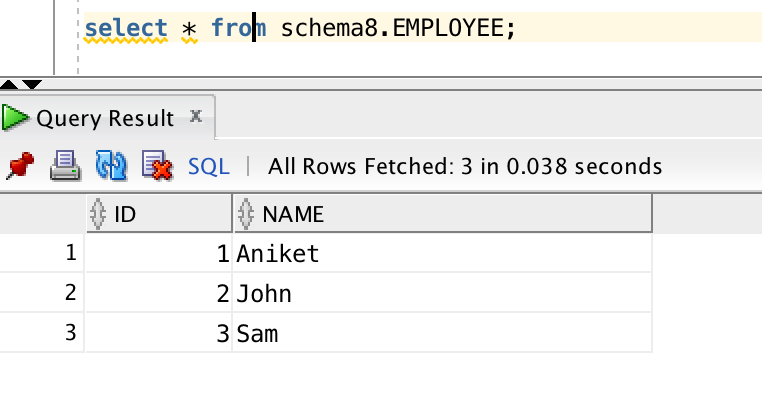 They are unique identifiers for rows in a table. NOTE : You should not use ROWID as the primary key of a table. If you delete and reinsert a row with the Import and Export utilities, for example, then its rowid may change. If you delete a row, then Oracle may reassign its rowid to a new row inserted later. 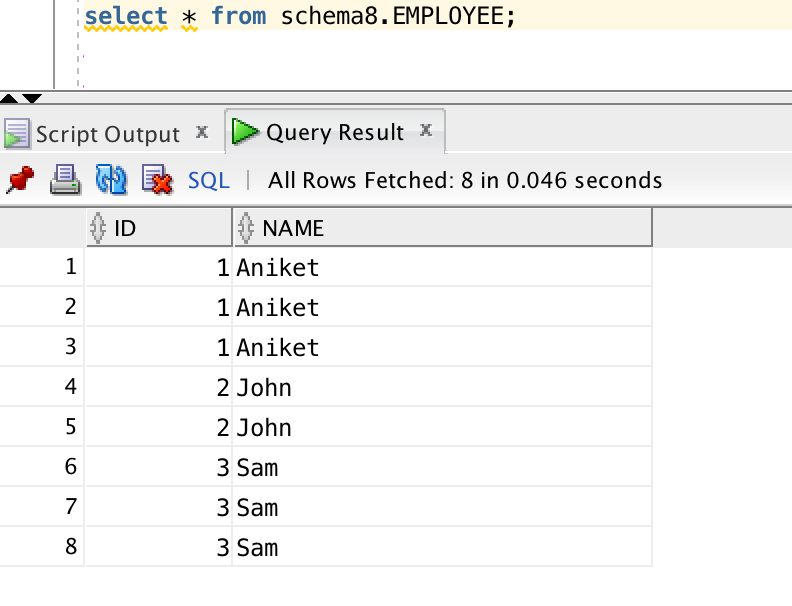 NOTE : Although you can use the ROWID pseudocolumn in the SELECT and WHERE clause of a query, these pseudocolumn values are not actually stored in the database. You cannot insert, update, or delete a value of the ROWID pseudocolumn. Lets me first try to explain reentrancy concept in a simplistic and generic way. We will come to Java specific details a bit later. Reentrancy is lay man terms means ability to enter again. In terms of thread it mean thread can acquired same lock again without blocking itself. Refreshing our multi threading concepts here. When you synchronize over an object the thread obtains a lock on it before entering the critical region (inside synchronized block) and till this thread releases this lock no other thread can acquire it and enter the critical region. NOTE : We do this to make compound operations atomic so that there is no race condition or invalid state. Here for a thread to enter either of the method has to obtain a lock on the instance (this) before entering the method. Now we are calling method 2 from method1 which is again synchronized with same instance (this). So thread will try to acquire lock again. If locks were not reentrant in nature we would have ended up in deadlock. Note : In Java all intrinsic locks are reentrant in nature. Note : Synchronization is built around an internal entity known as the intrinsic lock or monitor lock. 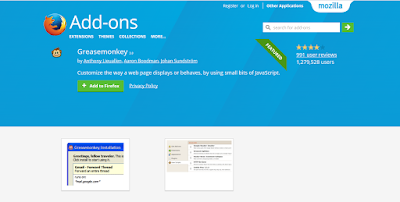 (The API specification often refers to this entity simply as a "monitor.") Intrinsic locks play a role in both aspects of synchronization: enforcing exclusive access to an object's state and establishing happens-before relationships that are essential to visibility.Every object has an intrinsic lock associated with it. Explicit locks are introduced in Java 1.5 like semaphore, cyclic barrier etc. Now lets see Reentant lock in Java that was introduced in Java 1.5. 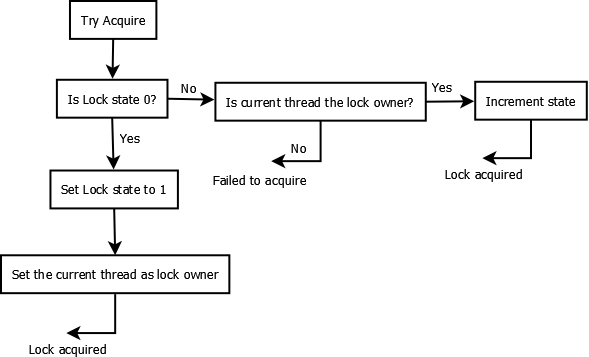 It provides tryLock() method which acquires lock only if it is not held by other threads. We can also use timeout with this method which means thread will time out of waiting if lock is not acquired till the timeout value. This is better than intrinsic locks where you have to wait indefinitely. 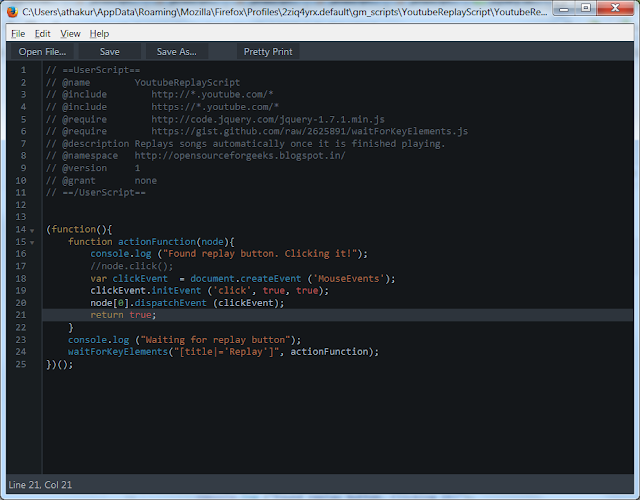 It also provides facility to interrupt thread while waiting using. ReentrantLock provides a method called lockInterruptibly() [Acquires the lock unless the current thread is interrupted. ], which can be used to interrupt thread when it is waiting for lock. (Returns a collection containing those threads that may be waiting on the given condition associated with this lock). NOTE : This lock supports a maximum of 2147483647 recursive locks by the same thread. Attempts to exceed this limit result in Error throws from locking methods. Also, the way reentrancy is achieved is by maintaining a counter for number of locks acquired and owner of the lock. If the count is 0 and no owner is associated to it, means lock is not held by any thread. When a thread acquires the lock, JVM records the owner and sets the counter to 0.If same thread tries to acquire the lock again the counter is incremented, and when the owning thread exist synchronized block counter is decremented. When count reaches 0 again lock is released. //The number of elements in this segment's region. NOTE : ReentrantLock was introduced since Java 5. Blocking queue is a queue that has a limit of elements it can hold and once that limit has reached enqueuing thread needs to wait for some thread to dequeue elements and make space. Similarly if queue becomes empty then dequeuing thread has to wait until some thread enqueues elements in it. Lets see how can we implement it in Java. Notice how we are using wait() and notifyAll() calls. Also observer both enqueue and dequeue methods are synchronized. So at a time only one thread can execute them. You can also find this code in my data structure github repository. Also see the Thread Pool implementation in Java which uses the blocking queue internally. Producer - Consumer design can be built using blocking queue. Producers enqueue jobs in the queue and wait when the queue is full where as consumers dequeue jobs in the queue and wait when the queue is empty. 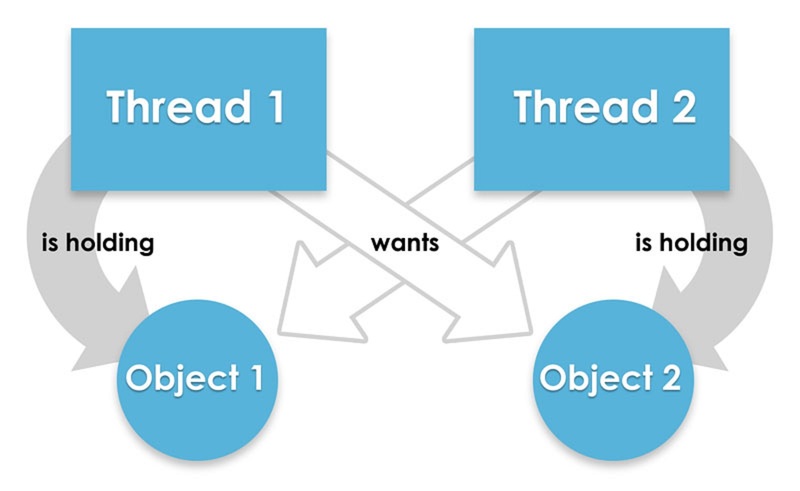 Famous example of producer consumer design in Thread pool implementation where you can enqueue your tasks in the queue and threads from Threadpool will dequeue and process it. As mentioned before you can see the code for blocking queue and thread pool in my github repository (Links in Related Links section below). 01403. 00000 -  "no data found"
And the program should hang. Thread 1 acquires lock over resource 1 and goes to sleep for 2 seconds. After sleep it would try to acquire lock on resource 2. When thread 1 was sleeping, thread 2 acquired lock over resource 2 and went to sleep for 2 seconds. After 2 seconds thread 2 would try to acquired lock on resource 1. Now it does not matter which thread wakes up. It will not be able to get lock on inner resource as other thread has acquired it and waiting for other to release. This will led to deadlock. How to resolve this deadlock? You can use Reentrant locks introduced in Java 1.5 to check if lock is available before locking it or you can do a timed lock (If lock is not available in x time move on). Another way to resolve this is to always have a fixed order to acquire lock. So both T1 and T2 threads will always lock resource 1 before trying to acquire lock on resource 2. This breaks the cycle that can lead to deadlock. There is more more stupid way to prevent deadlock. When you are spawning new threads from main thread call join from main thread on all new threads before calling start() on next thread. Stupid? I know. It is same as single threaded application as you are executing threads sequentially.